Move over pie! 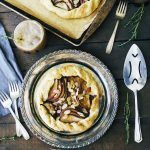 Galettes are gorgeous and SO easy! 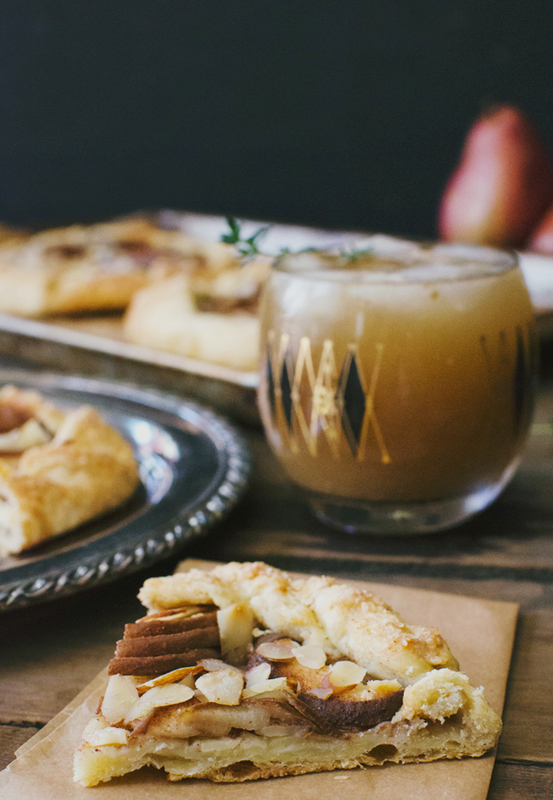 This recipe for mini pear almond galettes will shine on your holiday table. Hi friends! It’s been a busy week so I thought I would share a favorite recipe with you that I shared this time last year on A Fabulous Fete. Nothing says holidays to me like pears! 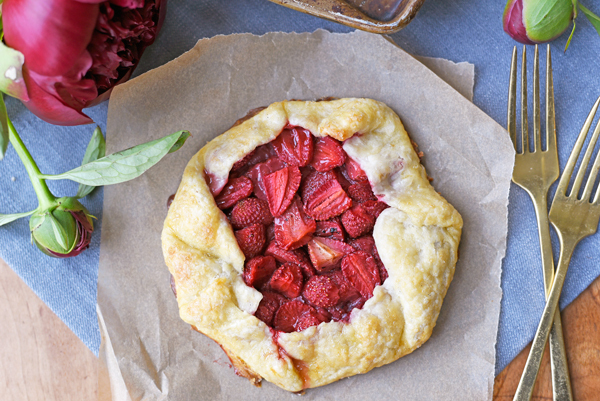 In contrast, pies and tarts make me think of summer since my favorites are stuffed full of berries or apples. 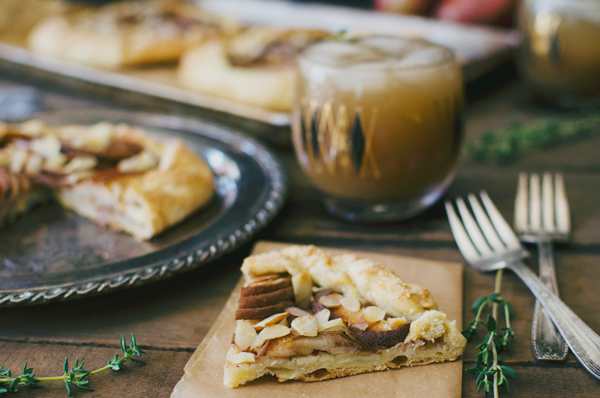 Really though, this pear almond galette recipe is perfect for fall. Come on, tell me you’ve never baked something just for an excuse to turn the oven on? 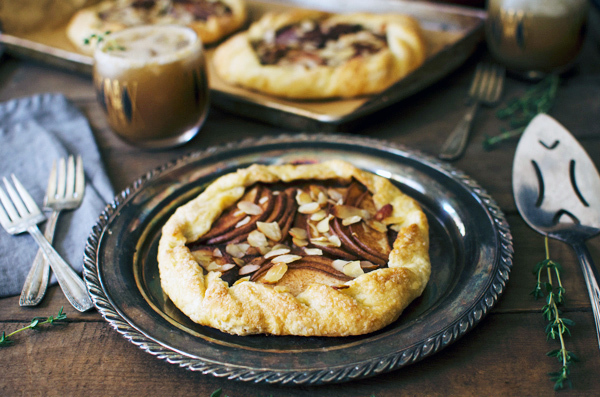 Galettes are also perfect for holiday entertaining as they are absolutely gorgeous and can easily be made mini! AND, with pears included, they’re basically a health food amiright? I mean, pears are chock full of fiber! Full of minerals. I’m sure I read somewhere that almonds are a superfood, right? 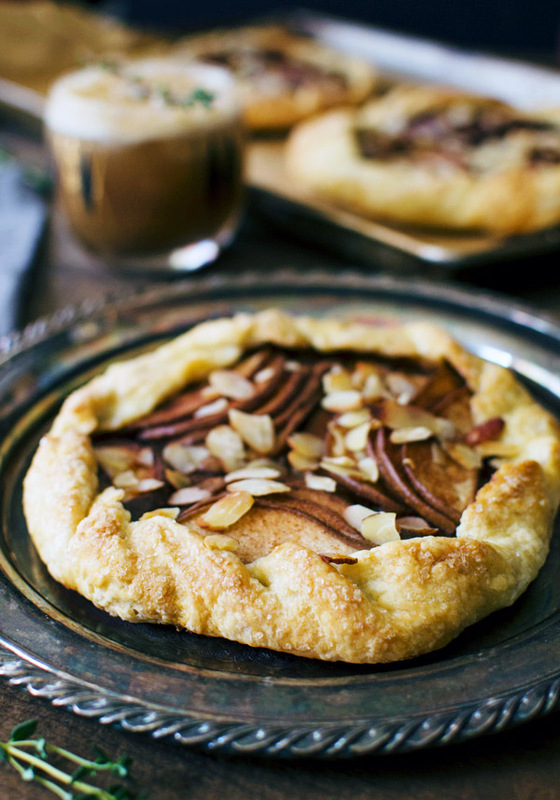 So with that, please go warm up your house and enjoy this guilt-free galette. Well, at least your house will be warm. 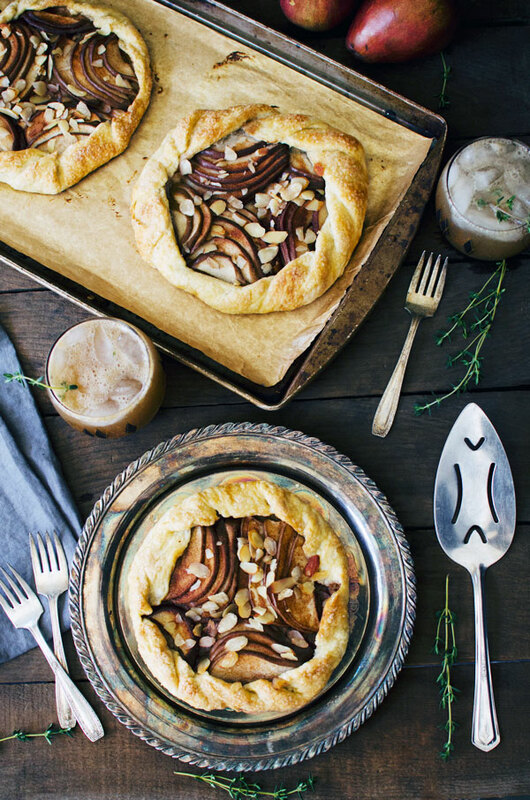 I recommend enjoying this galette with a pear thyme cocktail. It’s got a bit of a kick, thanks to the bourbon, but it’s balanced out by a lovely fresh pear puree. You really can’t have too much of a good thing in this case! Thanks so much for reading A Side of Sweet! For more Sweet in your life, you can find me on Instagram, Pinterest, Bloglovin’, Facebook, or Twitter, or subscribe to receive a weekly email with new posts (see sidebar). Preheat the oven to 375? F. Combine the sugar, cinnamon, nutmeg, and salt in a small bowl. Slice the pears in half. Remove the stem and bottom. Place pears flesh side down and thinly slice lengthwise, maintaining the pear’s original shape. Thanks lady! You’re so sweet! Beautiful! Perfect for the holidays!